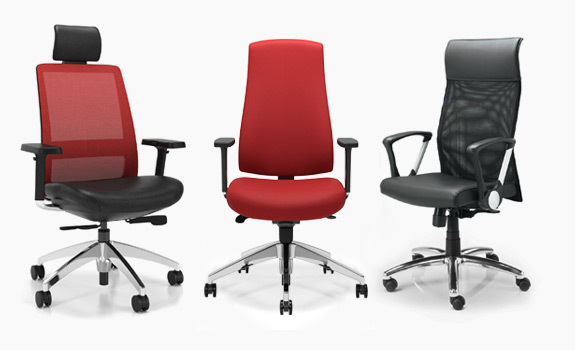 At Commercial Design Control Inc. we like to promote certain products, usually for the way they look and work for the client as well and because a lot of our clients want their office to look like a million dollars, without having to spend a million dollars. 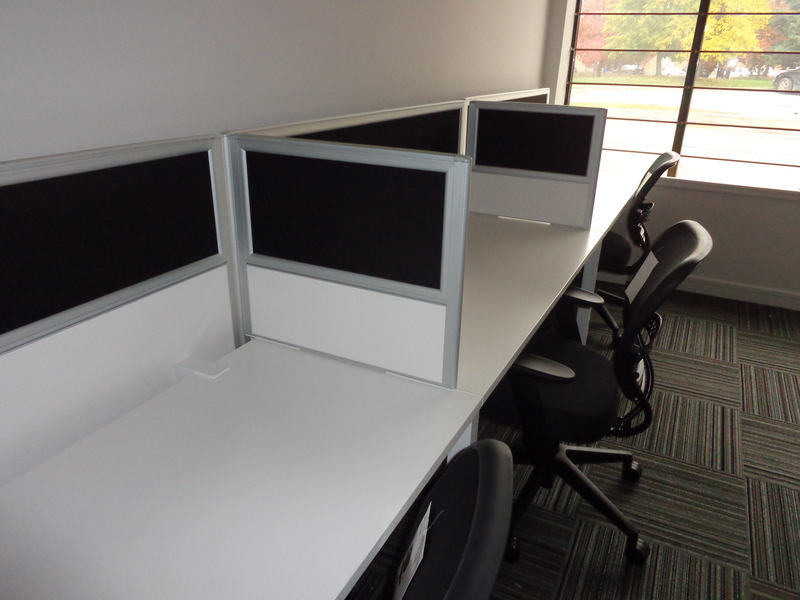 We have found a real winner using a simple workstation system made by Office Link Group. 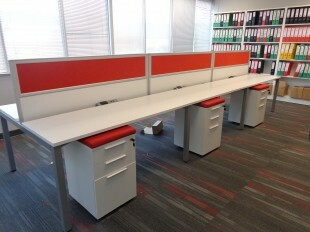 Simple and basic workstations that work in almost all office applications where a modern benching desks can be used. 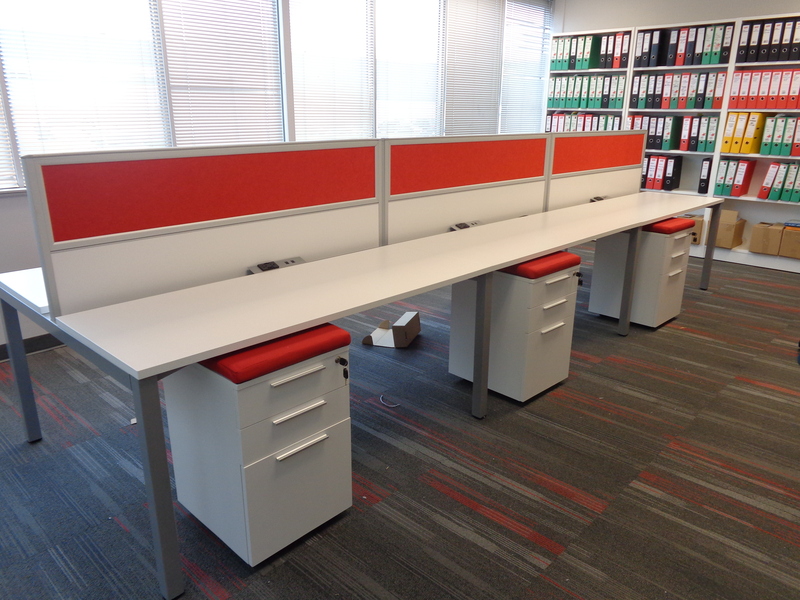 Lower dividers keep the space open, while the striking contrast of red, black and white dividers and surface make it clean and modern. 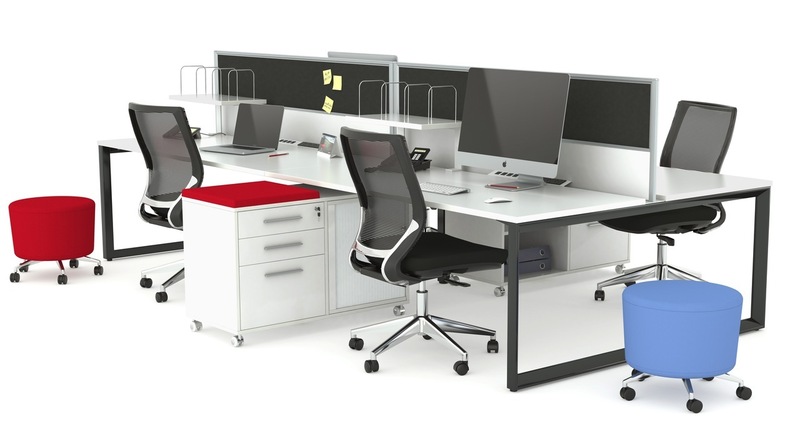 Many start up companies have limited budgets to spend on their offices, so this system pairs perfectly with someone that wants a bit of privacy, and yet likes to promote a collaborative work space. By adding in a good ergonomic mesh back chair you complete the look for modern, simple and yet effective for function. 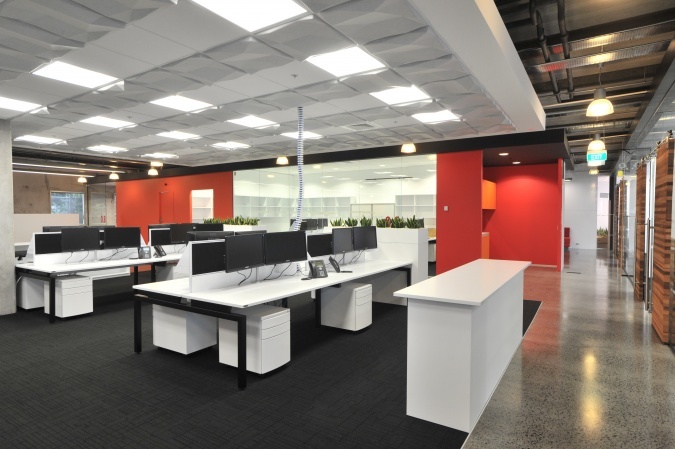 You don’t have to go crazy on designing your space, just keep it simple, open and bright. If you need some help, we are always here to measure your space, and to design the stations in the most space efficient way.